So you’ve got a great idea for a Bitcoin casino. You’ve seen the best – and worst! 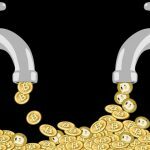 – and think you’ve settled on a few ideas that’ll make for a gambling site that’ll explode onto the crowded scene of Bitcoin online gambling. You’ve even got together a size-able amount of funds to accompany your ideas. So why should you consider buying a script? Why not just start from scratch and build the perfectly customized site? For starters, online Bitcoin casinos are still a relatively new thing – the first appeared around 2012 and the past 5 years have shown that there is still much for operators to learn: security issues, server loads, customer support and even the functionality of games themselves. The main advantage of a script: all the fixes and tweaks resulting from these issues have been incorporated into the latest versions by a myriad of providers, so you don’t have to learn these lessons yourself, saving you some headaches in testing your casino. Here are some scripts configured to the unique function abilities of Bitcoin to consider buying. The SoftSwiss option is what you might call the complete package: web-based gaming platform on Ruby-on-Rails framework, affiliate system, custom design, payment processors and localisation. Setup time for Bitcoin-based casinos are also quick if you go for SoftSwiss, as short as a week, depending on your degree of customization. In terms of games itself, its range of games is pretty small and focused only in slots but the script also supports API integration with more than 800 other games from other more than 15 integrated providers such as Amatic and NetEnt. This ensures you have no lack of variety, from typical table games, to slots and live dealer games. It even allows 3rd party apps in case you want to offer sportsbook or online poker. They have been noted for highly secure environments and provide free software updates for the lifetime of your casino, with all their games certified by iTechLabs. One downside if you want a Bitcoin casino with SoftSwiss script, you won’t be able to get licensing support from them. Check out bitstarz to visit a Bitcoin casino powered by SoftSwiss. Coingaming is a outright supporter of Bitcoin, being a Silver Member of the Bitcoin Foundation. It only focuses on casinos that utilize Bitcoin so as you can expect, it is an expert at providing white label Bitcoin casinos. Its customer base is focused on Asia Pacific, as noted by its exclusive offering of game providers like slots provider XIN Gaming. Cost of setup is also on the low side: you do pay an initial setup fee but you continue paying them only when your casino starts to generate profits, splitting a small percentage with them. 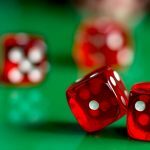 This does eliminate the worry for over-committing funds in the starting life of your Bitcoin casino. Coingaming also has a staggering amount of more than 25 game providers, integrating close to 300 slot games into the casino, allowing you to tailor bonuses, freespins and wager requirements all from one back office. Live dealers? Yeah, coingaming’s live offerings are broadcast round-the-clock with HD streaming optimised by geo-localisation from studios in Asia, Europe and Central America. Check out bitcasino.io for a flagship example of what it looks like to use the Coingaming script. This Bulgarian company is one of the other giants in casino solutions. Founded in 2010, it has been cutting itself a widening niche market with betting options focused on eSports, sports, casino and live betting. It’s a solution that’s targeted at Bitcoin casinos that want a sportsbook emphasis, with odds created by Ultraplay or imported from sports data providers such as BetRadar and Tipex and unique options such as video streaming during sporting events and adjustable live margins. It has its own brand of Live Gaming with Sky City Casino delivering live dealer games from Asian locations through Flash, mobile apps and HTML5. Players can even choose to view multi-table live games simulataneously. Check out betballer.com to see a sample casino running on Ultraplay. 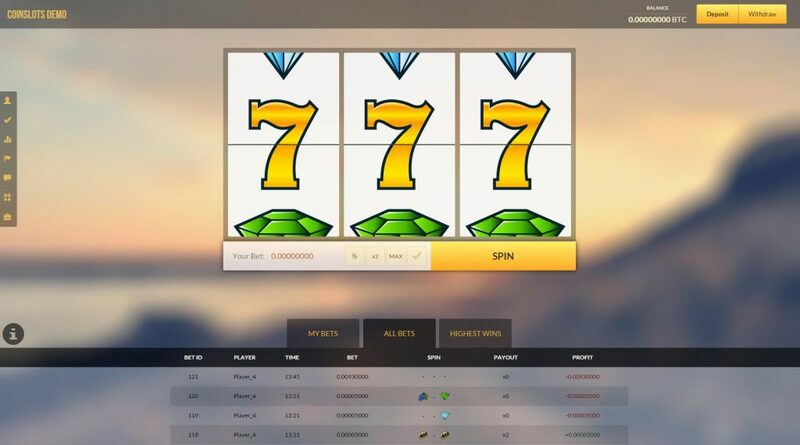 Overfeat makes the last entry on the list simply because of its popularity with small-time site owners who don’t mind (or prefer) the simplicity of a basic Bitcoin gambling site. The all-familiar Hi-Lo Dice is the main feature with winnings as small as 1.01 or 4,750 payout, although you can also play Fortune Hunter (choose 1 of 3 to reveal winnings) for a chance to multiply your Bitcoins. The main attraction of this script is its focus on free Bitcoins: in addition to a faucet feature, you can also play a free Dice Game that gives a small amount of satoshi and free lottery tickets to enter a raffle. In summary, it’s a casino that offers the very oldest and most-remembered features of early Bitcoin dice come faucet sites. For only $249, it’s also a modest outlay for those who just want a simple hobby dice game on their site.